I was setup my tank with power sand and all powder fertilizers which is recommended by ADA. I can’t comment on the products you have becuase we don’t sell them. We can only comment on products we sell. Sorry. Pretty weird though but u can try my strategy , as my tank was too deep i have lowered the water level and with very few fish and lighted strongly the plant showed great response growth was amazing with no Co2. Hope it helps you too but keep a close watch on algae growth . if you used ada substrate then you would of had to wait 3/4 weeks before planting or adding fish. this is because of the large ammonia spike. so test your water. if there is little to no ammonia and if it has been 3 to 4 weeks since adding the ada substrate then you should be ready for planting. i had the same problem but with other plants. How well do these do in sand substrate. Do you need soil? What is their compatibility with bottom feeders such as Cories and Kuhlii Loaches? All plants should be planted into a nutrient rich substrate. 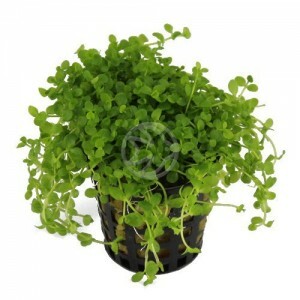 Planting them in sand puts them into an immediate disadvantage as there are no nutrients in sand. I have Monte Carlo as a carpeting plant and it has been doing really well for a few weeks. However, last week I added some drift wood to the tank. After a few days it had grown a thick layer of opaque white(ish) fungi/algae (I’m not sure what it is) all over it, so I removed the wood. Since then however, my monte carlo carpet has declined. It’s still rooting and spreading well, but the leaves have started getting darker, with some going completely brown. I can also see little clumps of what appears to be the same whitish fungi from the wood in certain areas of the tank. Is there anything I can do to remove it? Or could it be something else at fault? My water quality is good week by week, but I lack a phosphate test kit so it could be algae. I have one fish in the tank, a SFF called Artemis! It’s a 60litre tank. The fungi on your wood sounds very normal and is the sap coming out. It won’t effect plants so avoid putting 2 and 2 together and getting 5. When fungi appears on wood, just scrape it off. It might take several goes but this is why it’s always best to leave wood soaking in a bucket for a couple of weeks. Regarding the health of your monte carlo – what fertilisers are you using and are you using liquid carbon? I planted Micranthemum monte carlo over a month ago at first they where a nice light green now the tops are turning dark green. I planted them in small patches to spreed them out. I’m running co2 at 30 ppm set up with a ph controller and kh is 4dkh and GH 4 and p.h is 6.6 . lighting is 4 x t5 ho bulbs 45 wats each. i have lots of power heads for movement. The only thing i can see is my lighting system is to far from the bottom of my tank it’s 32 inches from the Micranthemum monte carlo plants. I run the lights for 6 1/2 hours a day and always at the same time if i go longer lighting i start to get green spot algae. I also have a dosing pump that gives 8 ml of macro and 8 ml of micro every day one hour before lights come on plus i put root tabs in the Eco complete gravel. Any help would be great thanks in advance Charlie. Dark green is normally desirable – they’re probably just adjusting to life underwater. But green spot algae indicates a deficiency in phosphates so you need to add more ferts. I have a high tech planted tank. I have pressurized CO2 system with 2 bpm, I dose Seachem Potassium and Iron but my Monte Carlo plants are turning brown. New leaves are growing and bright green but are small. Every week I can see algae growth on the glass of the tank. Can you say that is this normal that monte carlo leaves are turning brown or there is some deficiency in my tank. I noted above that you indicate this species is European or Asian, yet Tropica indicates the plant is S. American. Granted, a plant grown in-vitro isn’t “from” anywhere – per se. Tropica only lists two plants with the Micranthemum sp. name – and both are listed as originating in the Americas. I live an Jamaica and they do not allow imports of any type of aquatic plant, as they are trying to preserve their natural eco so presently I have to research all the plants I wish to import and give the government a full run down of all the plants origins, care data etc. to make sure none are evasive or are on the Federal Noxious list. These mistakes set me back a year. I had to re-file everything. “Monte Carlo” is actually from Argentina. I planted Monte Carlo without co2 for 2 weeks they became weak and brownish and most of them died. Then I started providing proper fertilizers and co2.I could see the difference they are getting better how long would it take to become health and grow like it normally does? Can monte carlo grow without co2 in tank? Do you ship to Sri Lanka ? and does ‘monte carlo’ having seeds ? Do you ship to Sri Lanka ? And does ‘monte carlo’ having seeds ? Can MC get nutrition out of the water or does it absolutely needs to be planted in soil? Like sticking it onto branches to create a bonsai tree. what is the minimum light require to grow monte carlo? whats the ideal temperature for monte carlo. I have a discus tank and planing to carpet. i have CO2 and other plants in my tank. tank temperature is 29 degrees. Is that ok for the plant?